The ongoing Ebola outbreak in the Democratic Republic of Congo does not yet warrant being declared a global emergency but is of “deep concern”, the World Health Organization said Friday. Following a meeting of its expert committee, the UN health agency called for efforts to be redoubled to stop the deadly virus, noting that the recent spike in Ebola cases raises the risk of spread to other countries. The outbreak announced on August 1 has become the second-deadliest in history, behind the West African one from 2014-16 that killed more than 11,300 people. DR Congo’s health ministry on Thursday reported 1,206 confirmed and probable cases, including 764 deaths. This is the second time the expert committee has decided this outbreak is not yet a global emergency. Committee chair Robert Steffen called Friday’s decision unanimous and said the experts had feared making the declaration might even hurt response efforts. He did not give details but said experts were “moderately optimistic” the outbreak could be contained within a “foreseeable time”. Emergency declarations almost always boost global attention and donor funding. 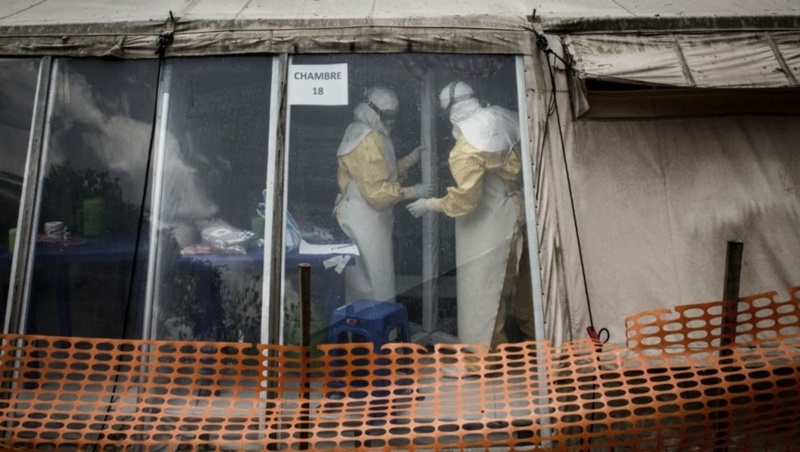 WHO has noted it is woefully short of the $148 million (€130m) it says is needed to fight Ebola for the next six months. To date, the agency has only received $74 million (€65m). Rebecca Katz, a global health security expert at Georgetown University, in a statement called WHO’s decision disappointing, saying the UN agency and its experts were “taking too narrow of an interpretation” of what constitutes an international emergency. She called the difficulty of coordinating the response “deeply concerning”. “Bigger is not necessarily better,” she said and called for a new approach, saying that after nine months of the same strategy “the epidemic is definitely not under control”. Newport said 75 percent of new Ebola cases have no obvious link to previous patients, meaning that officials have lost track of where the virus is spreading. WHO’s Dr Michael Ryan, who heads the emergencies programme, disputed that assessment, insisting that officials are eventually able to connect most Ebola cases to a previous patient after an arduous forensic process. Previous global emergencies have been declared for the 2014 Ebola outbreak in Sierra Leone, Liberia and Guinea, the emergence of Zika virus in the Americas and the international attempt to eradicate polio. WHO was criticised for not declaring the 2014 Ebola outbreak an international emergency until nearly 1,000 people had died and the disease had spilled across borders.